Q. Where are industry reports located? Access to industry and market reports detailing companies, market shifts, and innovations. There are numerous databases which will provide industry specific information. Most of them are located on our Marketing subject guide. Access here. 2. 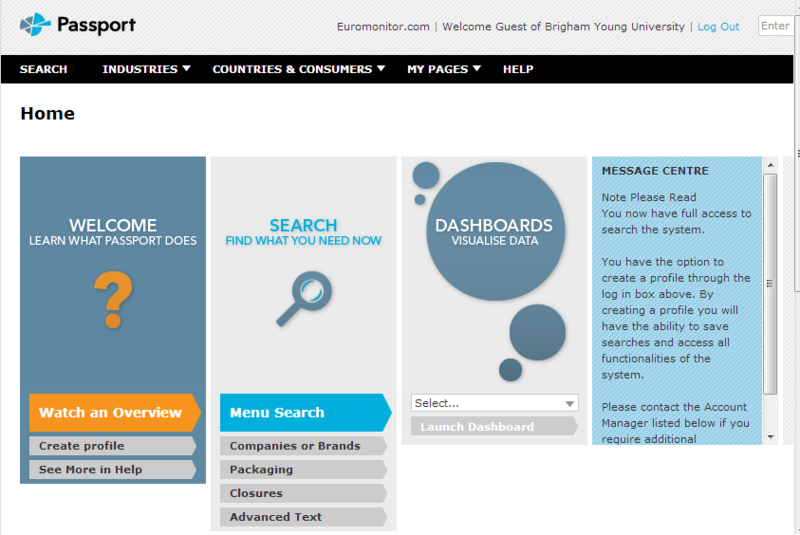 Type 'Euromonitor Passport" into the Find a Database search bar on the right-hand side, then click "Go"
4. On the Homepage, look on the right-hand side and top bars for the ability to search for information and reports on specific companies and industries. Passport video tutorial on the Business and Economics Library homepage by clicking here. Also, feel free to visit the business and economics student help desk on Level 1.